I don't normally like writing completely negative reviews but when something is quite expensive I really don't want people to waste their money on it. 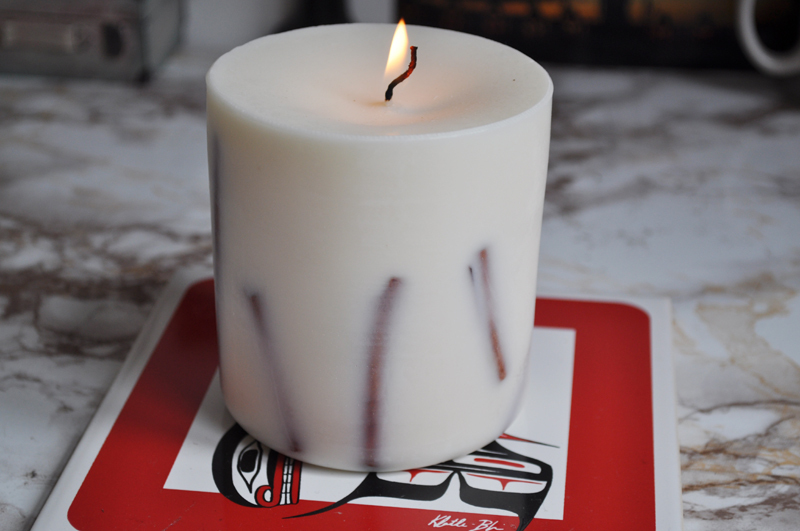 What I'm talking about is the Cinnamon Soy Wax Candle* from Munio Candela. So far I've tried two other products from Munio Candela which I've really liked so I'm only talking about this particular candle and the experience I've had. First off let me tell you the good things about this candle. 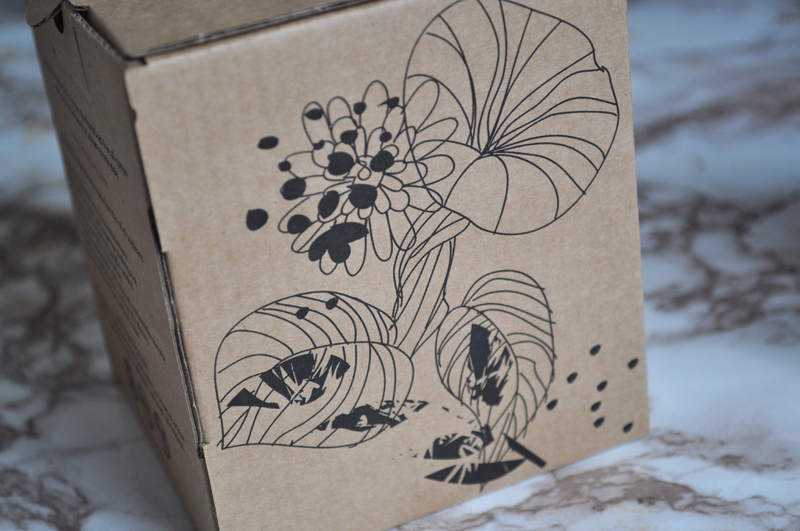 I love the box design and could totally see myself drawing something like this. 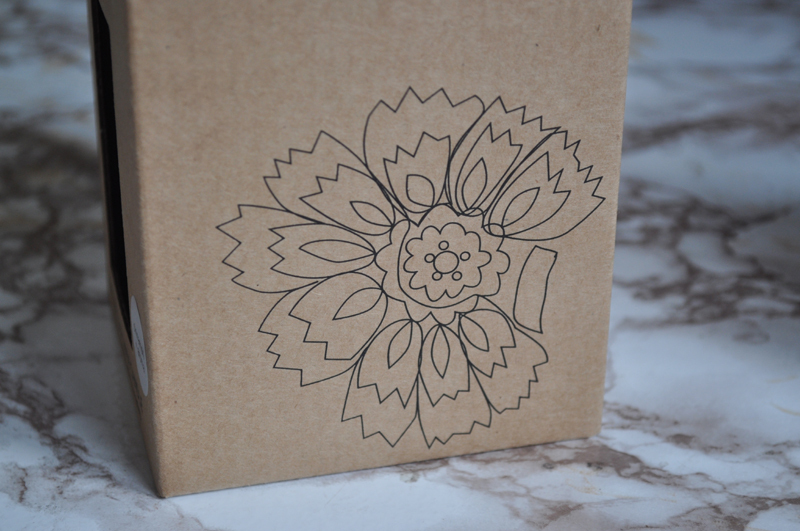 With a bit of colour, the second flower would look great in a photo frame. I'm thinking a bit of DIY is in order. The scent of the candle not burning is amazing! It's a warm vanilla cinnamon scent but sadly this doesn't translate once burning. I literally can't smell anything once it's lit. The first thing I noticed once I'd lit the candle is that it doesn't burn evenly. I left it to burn for a good few hours so it could totally melt but it just didn't. This then meant that every other time I left it to burn, it burnt unevenly which you can see in the photo. 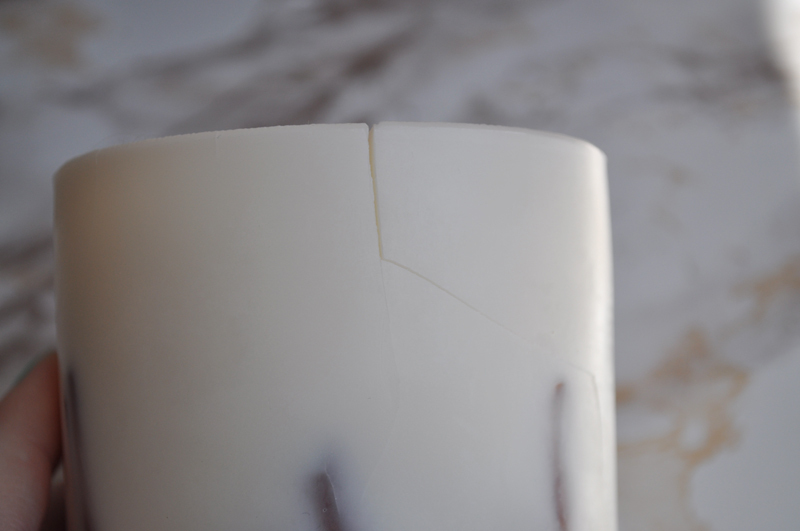 The next problem was the candle actually cracked which I've never had happen to me before. I first noticed it around the third time of lighting and I could actually hear it cracking and splitting. I didn't pay much attention to until I'd lit it a few more times and pieces actually came off! You can see all this clearly in the photos. I haven't lit it since the last photo as I'm worried it's going to crack and split even more and hot wax is going to go all over my furniture. I've got some theories about why this happened. The first is that it arrived through the post so it could have been dropped on it's way to me which formed a few cracks and the heat created more. There are actually cinnamon sticks in the candle and a lot of the cracks are coming from the sticks. They look pretty but could be the cause of the cracking?? Or I just got a faulty candle and they are normally fine. This particular candle is not cheap, it's £19 and you expect the quality to reflect the price. I would avoid this type and try one of Munio Candela's paint pot candles which I love. First of all I would like to thank you for sharing experience with Munio Candela products, we deeply appreciate that. Let me give you the short comment on this issue from ours- producers side. 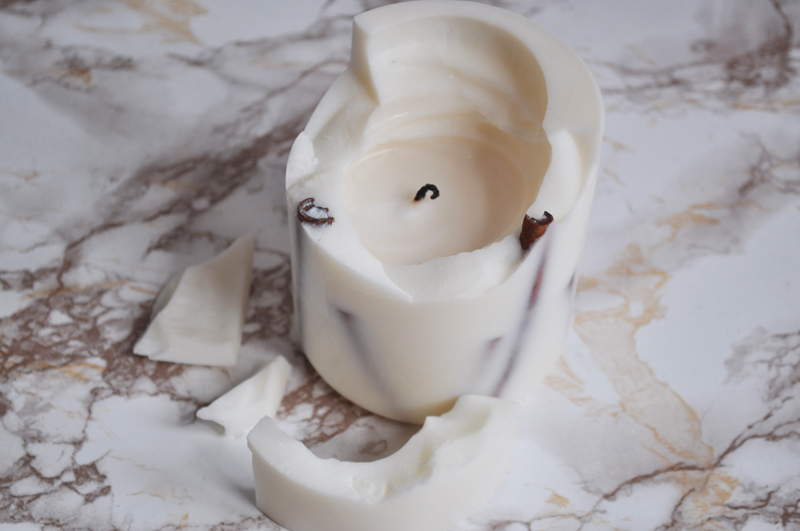 As all MUNIO CANDELA candles are 100% natural and handmade there is certain possibility that some of candles could be with fails in burning process. 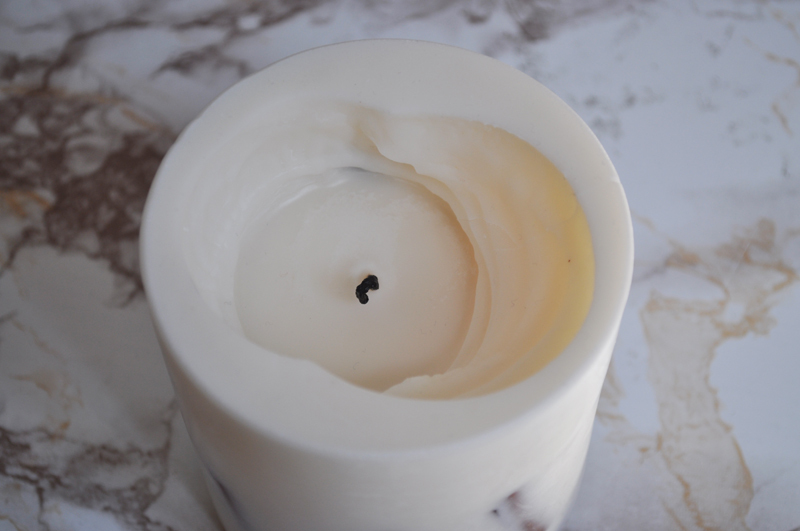 By choosing to buy Natural candle you will avoid to breath petrochemicals and synthetic fragrances in same time you need to remember that Natural means also more fragile and more changing. As we all may know- you will never find 2 exactly the same Natural products either food or non food as the natural ingredients “ lives their own life” without any synthetic stabilizers and fragrances. 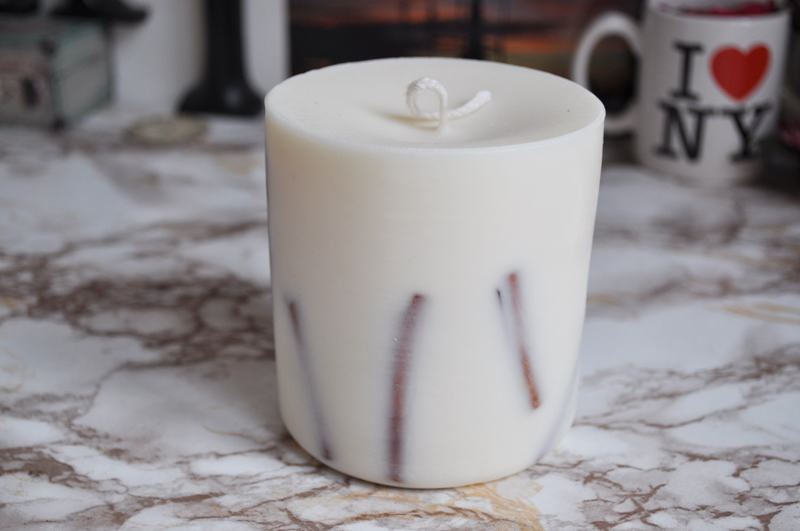 The eco soy wax candles could crack due fluctuations of temperature or how was mentioned they could have a significant risk of defect if sent by post. 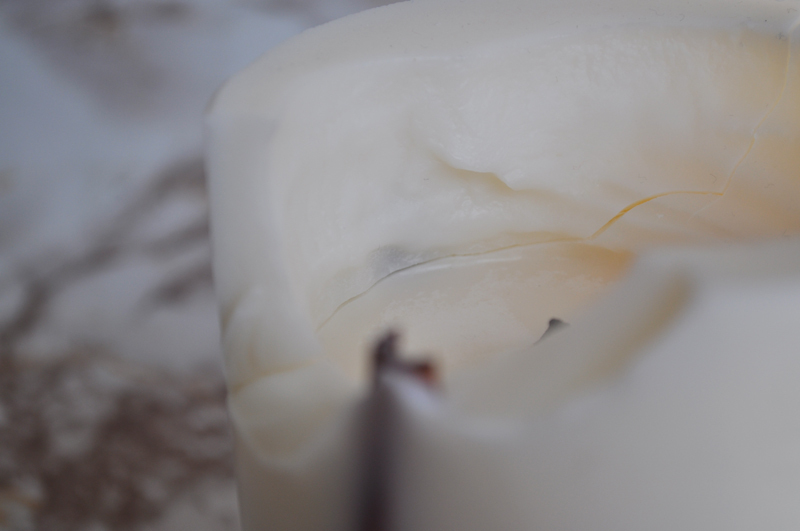 Normally the candle should burn for first time making the tunnel, after leaving 1 - 2 cm of wax on the sides. In particular case described above we advice to contact your seller and ask to change the product to the new one. 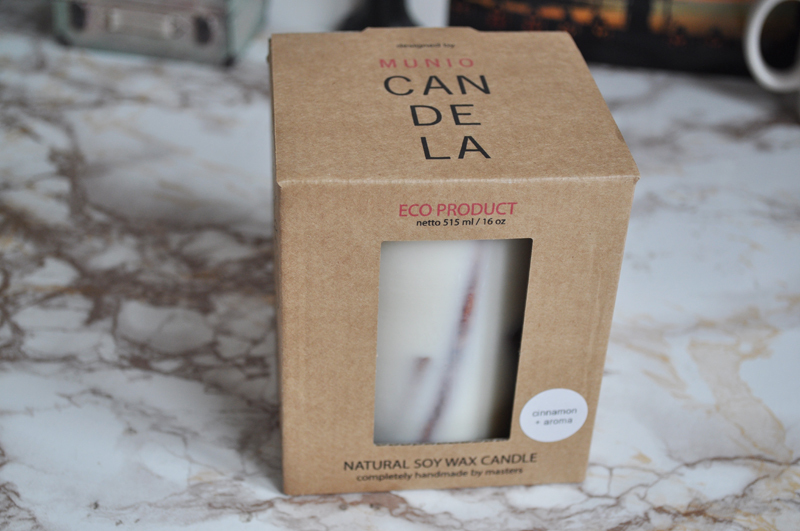 Hope you will continue to enjoy the fragrances and design of our Natural Candles!